Since March 2016, a new casino is available online – and it is called Dunder. It is the Swedish entrepreneurs behind Casumo who chose to start a new project. With all their experience, they decided to give players around the world another great casino. During their launch. they constantly dropped some hints about another site with adventure connected to the site. The adventure is supposed to be like the adventure at Casumo, where you get different kind of rewards. The founders have focused a lot on the design and have a huge range of different games from some of the most popular providers in the industry. Dunder was created with three main words “fun, easy and trouble free”, and we can’t say anything else than that it is a perfect description of the site. The founders have said themselves that they were tired of messy and murky sites, slow payments and terms and conditions that are hard or even impossible to understand. They therefor decided to create an online casino where they would love to play at, Dunder. Their description of the site is: a beautiful casino with ease of use in focus; where it is easy to play what you want, just as you like. At Dunder you will simply be able to play at a beautiful site that is user friendly and has a wide range of high quality games and slot machines. At Dunder you will have many opportunities to get some extra spins. 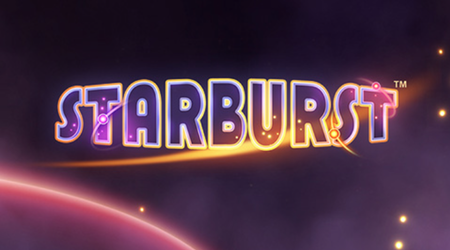 Right away when you become a member you will receive 20 extra spins on the most popular slot machine Starburst – without even having to deposit anything. What a great start to your visit at the site! And the extra spins doesn’t end there, with you first deposits you will also get a great deal. Your first deposit gives you both a 200% bonus and a total of 180 extra spins! For nine days in a row, you will receive 20 extra spins on the slot Starburst. So when you have become a member and made you first deposit, don’t forget to login for the next coming nine days! All together, you’ll get 200 extra spins. The wagering requirements on the extra spins are that you will have to wager your winnings 25 times. Dunder has made an awesome welcome package reeor new member and of course you don’t want to miss out on them. As we have mentioned you will get 20 extra spins when you sign up. And then there is bonuses connected to your first three deposits. 2. 50% up to £150, deposit 300 and get 450 to play for! 3. 25% up to £400, deposit 1600 and get 2000 to play for! By becoming a member you will get the chance to get your hands on these awesome welcome bonuses. The bonuses will allow you to play a little longer and try out the casino a little more than only with your deposit. There are no demands on taking these bonuses but to at least try out the first one is a great way to get to know a site a little more and get a feeling if you like the casino or not. The only thing you have to keep in mind is that each bonus comes with a wagering requirement. As we said before the extra spins has a wagering requirement on 25 times and it is the same for all three welcome bonuses. So you will have to wager your bonus before you can withdraw anything. The total bonus ends up on £600 and 200 extra spins! That really is a good deal! All bonuses are 18+ only, and Dunder Terms and Conditions applies. Dunder has a huge collection with over 800 games from all of the leading game developers in the industry. In their selection you will find the latest slot machines, blackjack, roulette and live casino. Except for this you will also find some of the biggest jackpots online. The founders have put a lot of effort into make the site fit into all types of players. Dunder introduced their category system so that each player easily can find the game of their choice. You choose from feature, themes or game manufacturers to slim down the games from 800 to the ones that suit you. That is a feature to the site that we like really much and that really helps you to easier find what type of game you are looking for. Two thumbs up for that feature! Some of all the providers available you can find at Dunder is Netent, Quickspin, Microgaming and Betsoft. Only by reading this we can tell that the game selection is great and we can assure that you won’t be disappointed. The site is still very new and we can’t believe anything else than that they will continue to improve their already great game selection. Their journey in the gaming industry will most certainly be fun to follow. If you prefer to play on your phone we have good news for you! Dunder offers several of their games on mobile devices. It is actually more than 300 games that have been optimized for playing at phones or tablets. One of the best providers that usually optimize all of their slots is the Swedish developer Net Entertainment, many of their games are available at the site and will make your mobile gaming great. It doesn’t matter if you own an iPhone or Android phone; it works on all phones with touch screen. The only thing you have to do is to open up a web browser and log into your account and then you are ready to play! This means that you don’t even have to download anything, only use an internet connection. Many casino sites are focusing on following the technical development and Dunder is one of them! It is a good sign when a site wants to be as modern as they can, since it means that they will continue to strive to be in the top. The support at Dunder is great, the site is Swedish but everyone in the live chat speaks English and can answer questions. The chat is available from 11.00-23.00 CET and they answer really quickly and are friendly. It makes you feel secure when the support takes your problems seriously even whatever your questions are. The founders themselves say that the customer experience is the most important thing and therefore the support team is a key to making that happen. The support team is people with a casino interest, just like you! The founders think that it is necessary for them to be able to answer and understand your questions as quickly as possible. If you bump into a problem when the live chat is closed there is a large catalogue with frequently asked questions where you might find an answer. If you don’t find your question you can always get in touch by sending them an email at help@dunder.com any time. You can tell that the founders of this casino have a lot of experience since the casino is so new but already has a great support. When it comes to the payment solutions they have collected all the leading payment methods. They are also really fast, the deposits works immediately and the withdrawal is made within 24 hours. The traditional bank transfers and Euteller has a charge of 2,5% but the rest of the options are free of charge. The other options available are: Trustly, Skrill, Neteller, EcoPayz and Paysafe. There are a minimum of 200kr to deposit on each of the methods but how much you can withdrawal differ. Euteller has a maximum of 10 000kr and Paysafe 2000kr. On the rest you can withdrawal as much as 50 000kr! So if you prefer to withdrawal a huge sum at the same time you should take one of the other options. Dunder also has a section of live casino on their site. With live-streamed dealers and croupiers and the opportunity to chat with other players it’s the feeling of almost being there for real. Live casino works that way that you get a place at a real table that you see through a web cam. The games that are available today are; roulette, blackjack, baccarat, Hold’em and three card poker. The live casino at Dunder is top notch and you get to play in real Las Vegas spirit! It is available 24/7 so why don’t you try it out and get the chance to win real big? At the time now Dunder does not offer any sports book or betting system, but perhaps they will in the future. The founders do have a lot of experience of the industry and we are sure that they will try to make their site even broader and to make more players want to use their site. If they will have a sports book we can’t say anything about. Since Casumo doesn’t have one it is hard to tell if they will expand with that or only focus on the slot machines. One thing we know for sure is that Dunder has in a short time got themselves a name on the market and made many players prefer their casino. In the future they will probably stick to their goal in being one of the top casinos in the industry. Like many other casinos Dunder has their headquarters on Malta. The casino is licensed, authorized and regulated by the Malta Gaming Authority and the Gambling Commission of Great Britain. Perhaps two of the world’s most highly regarded and stringent regulatory authorities for gambling. With these two licenses Dunder confirms that they operate in accordance with the EU laws and directives, especially when it come to your account, personal information and that your money is treated with the highest security. With headquarters on Malta it also means that all your winnings are tax free for players from the UK. Doesn’t this sound great? If you haven’t checked out their site yet you should!